OnRamp Bioinformatics said it has launched an epigenetics collaboration with Active Motif aimed at improving the accuracy of data analysis for chromatin immunoprecipitation (ChIP) sequencing experiments, through a collaboration whose value was not disclosed. OnRamp said its flagship ROSALIND genomic data analysis software will be integrated with Active Motif’s kits and antibodies, which are designed to enable epigenetic and gene regulation research. ROSALIND is intended to speed up and simplify the process of genomic data analysis from experiment setup and QC to interactive data visualization and interpretation, according to OnRamp. 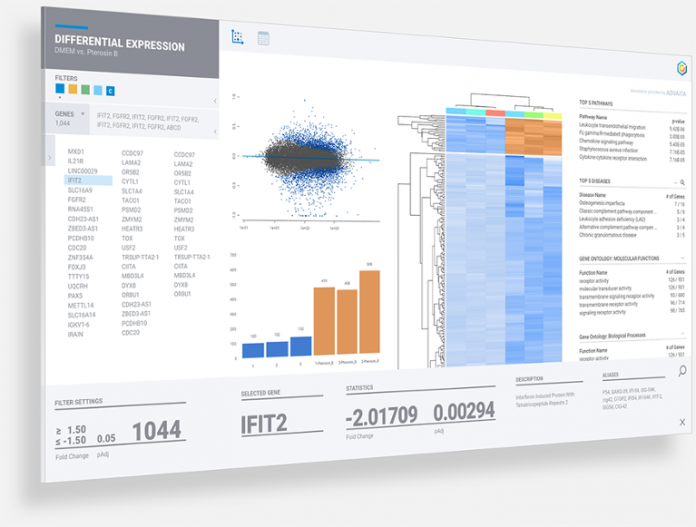 ROSALIND is designed to offer users identification of the significant peaks and known or de novo binding motifs, as well as a functional enrichment analysis based on “close-by genes” using more than 20 knowledgebases—including GO, COSMIC, WikiPathways, MSigDB, Pfam, and Interpro. ROSALIND also offers a collaboration space allowing researchers to virtually work alongside colleagues and explore results without having to exchange their files, OnRamp added. Active Motif’s Next Gen DNA Library Kit, used in combination with the company’s Next Gen Indexing Kit, contains 16 unique index adapters that may be used individually, or in combination, to multiplex samples together during cluster generation for co-sequencing on the same Illumina flow cell. Next Gen DNA Library preparation includes molecular identifiers (MIDs) designed to enable accurate removal of PCR duplicates from single read sequencing, which according to Active Motif helps to increase the number of unique alignments for more accurate data sets.